These casters work with all horizontal Electrorad Aero-Flow electric radiators to provide them with a freestanding fitting. Easy to attach, the casters simply slot in to the flutes underneath the radiator. 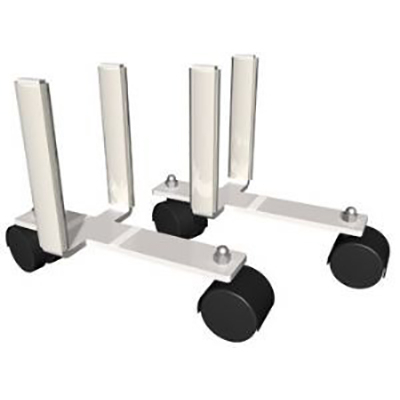 Castors suitable for use with all Aeroflow radiator models. Allows the radiators to be free standing and moveable. Easy to attach, they simply slot into the flutes underneath the radiator. Please note, these casters are not designed for use with the vertical Aero-Flow due to its height.